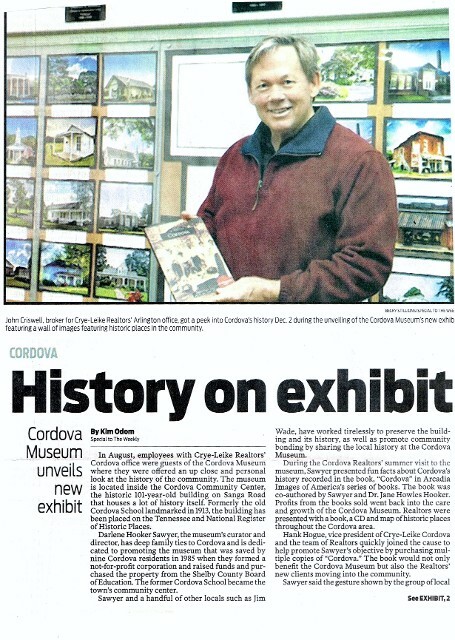 Unveiling of "Cordova's Historic Places" sponsored by Crey-Leike, Realtors Cordova Office" on Dec. 2, 2014. 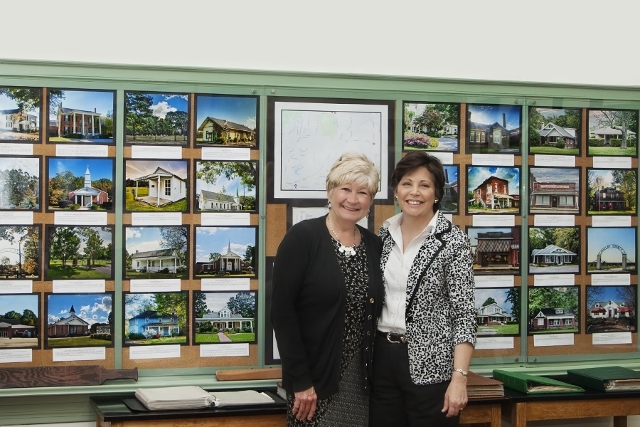 (Right) Former Curator/Director Darlene Sawyer with photographer (left) Becky Stillions. Below is John Criswell of Crye-Leike Arlington.